All active processes are undoubtedly saturable, but they will appear to be linear if values of drug concentrations encountered in practice are much less than Km. When drug concentrations exceed Km nonlinear kinetics are observed. The major consequences of saturation of metabolism or transport are the opposite of those for saturation of protein binding. Saturation of metabolism or transport may decrease CL. Saturable metabolism causes oral first-pass metabolism to be less than expected (higher F), and there is a greater fractional increase in Css than the corresponding fractional increase in the rate of drug administration. As the dosing rate approaches the maximal elimination rate (Vm), the denominator approaches zero, and Css increases disproportionately. Because saturation of metabolism should have no effect on the volume of distribution, clearance and the relative rate oof drug elimination decrease as the concentration increases; therefore, the log Cp time curve is concave-decreasing until metabolism becomes sufficiently desaturated and first-order elimination is present. Thus, the concept of a constant tm is not applicable to nonlinear metabolism occurring in the usual range oof clinical concentrations. Consequently, changing the dosing rate for a drug with nonlinear metabolism is unpredictable because the resulting steady state is reached more slowly, and importantly, the effect is disproportionate to the alteration in the dosing rate. FIGURE 1-5 Temporal characteristics of drug effect and relationship to the therapeutic window (e.g., single dose, oral administration). A lag period is present before the plasma drug concentration (Cp) exceeds the minimum effective concentration (MEC) for the desired effect. Following onset of the response, the intensity of the effect increases as the drug continues to be absorbed and distributed. This reaches a peak, after which drug elimination results in a decline in Cp and in the effect's intensity. Effect disappears when the drug concentration falls below the MEC. Accordingly, the duration of a drug's action is determined by the time period over which concentrations exceed the MEC. An MEC exists for each adverse response, and if drug concentration exceeds this, toxicity will result. The therapeutic goal is to obtain and maintain concentrations within the therapeutic window for the desired response with a minimum of toxicity. 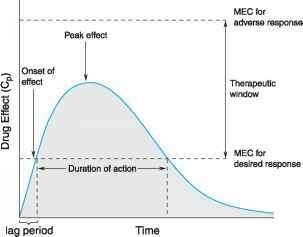 Drug response below the MEC for the desired effect will be subtherapeutic; above the MEC for an adverse effect, the probability of toxicity will increase. Increasing or decreasing drug dosage shifts the response curve up or down the intensity scale and is used to modulate the drug's effect. Increasing the dose also prolongs a drug's duration of action but at the risk of increasing the likelihood of adverse effects. Unless the drug is nontoxic (e.g., penicillins), increasing the dose is not a useful strategy for extending the duration of action. Instead, another dose of drug should be given, timed to maintain concentrations within the therapeutic window. The area under the blood concentration-time curve (area under the curve, or AUC, shaded in gray) can be used to calculate the clearance (see Equation 1-5) for first-order elimination. The AUC is also used as a measure of bioavailability (defined as 100% for an intravenously administered drug). Bioavailability will be <100% for orally administered drugs, due mainly to incomplete absorption and first-pass metabolism and elimination. 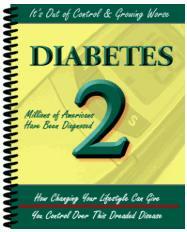 Thus, the therapeutic goal is to maintain steady-state drug levels within the therapeutic window. The application of pharmacokinetic monitoring to drug treatment in cases where the therapeutic index of a drug is narrow is beneficial since successful therapy is associated with a target blood level at steady-state. (adverse) drug effects, and as a result, a therapeutic window exists reflecting a concentration range that provides efficacy without unacceptable toxicity. Similar considerations apply after multiple dosing associated with long-term therapy, and they determine the amount and frequency of drug administration to achieve an optimal therapeutic effect. In general, the lower limit of the therapeutic range is approximately equal to the drug concentration that produces about half the greatest possible therapeutic effect, and the upper limit of the therapeutic range is such that no more than 5—10% of patients will experience a toxic effect. For some drugs, this may mean that the upper limit of the range is no more than twice the lower limit. Of course, these figures can be highly variable, and some patients may benefit greatly from drug concentrations that exceed the therapeutic range, whereas others may suffer significant toxicity at much lower values (e.g., digoxin). 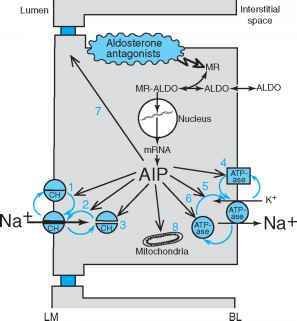 For a limited number of drugs, some effect of the drug is easily measured (e.g., blood pressure, blood glucose), and this can be used to optimize dosage using a trial-and-error approach. Even in an ideal case, certain quantitative issues arise, such as how often to change dosage and by how much. These usually can be settled with simple rules of thumb based on the principles discussed (e.g., change dosage by no more than 50% and no more often than every three to four half-lives). Alternatively, some drugs have very little dose-related toxicity, and maximum efficacy usually is desired. For these drugs, doses well in excess of the average required will ensure efficacy (if this is possible) and prolong drug action. Such a "maximal dose" strategy typically is used for penicillins. For many drugs, however, the effects are difficult to measure (or the drug is given for prophylaxis), toxicity and lack of efficacy are potential dangers, or the therapeutic index is narrow. In these circumstances, doses must be titrated carefully, and drug dosage is limited by toxicity rather than efficacy.